Fulham v Chelsea Preview: Déjà Vu On The Cards? 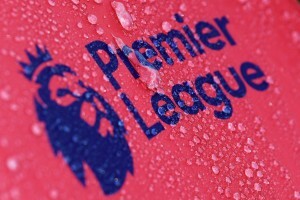 You are here: Home » English Premier League » Chelsea FC » Fulham v Chelsea Preview: Déjà Vu On The Cards? Chelsea will make a short trip to Craven Cottage on Valentine’s Day, to face their West London neighbours Fulham. The euphoria surrounding the winter transfer window came to an anti-climactic end at Stamford Bridge last weekend, as Liverpool defeated the home team by virtue of their shape on the pitch and fight in their performance. By losing to the Merseysiders, the champions failed to close the 10-point gap, after Man United had slumped to its first league defeat of the season. 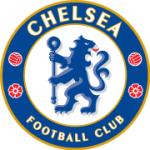 Ironically, Chelsea played Fulham right after losing to Liverpool in November, and carved out a 1-0 win over their local rivals, courtesy a Michael Essien headed goal. The Ghanaian was later sent off for a rash lunge on Clint Dempsey. Again, the Blues have to face the Cottagers after losing to the Reds. Ancelotti would hope to experience a déjà vu of sorts. Before tasting defeat at the hands of Liverpool, Chelsea had won three leagues games in a row, and were threatening to recapture their lost touch; on the other hand, Fulham has taken 11 points from a possible 18 in 2011, winning the last three games at Craven Cottage without conceding a goal. Mark Hughes will be without the services of Dickson Etuhu, who’s out injured. 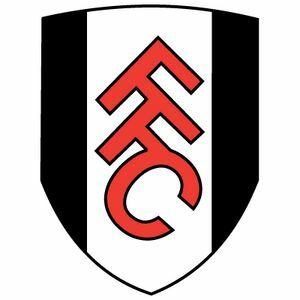 Presently, there is a lot of positivity in the Fulham camp, not just because of their recent results but also because Bobby Zamora played in a reserve match midweek and scored. This was the Englishman’s first appearance after breaking his leg against Wolves in September, and he can be expected to feature for the first team soon rather than later. Also, loan-signing Kakuta will not be available for selection against his mother-club. Fulham is expected to line up in a 4-4-2 formation, with Johnson and Dembele leading the line. Dempsey, being the club’s top goal-scorer with 9 goals, has shouldered the offensive burden thus far and will not need a second invitation to surge forward. The Fulham front-men will be looking to test the new centre-back partnership of Luiz and Terry. As many as three ex-Chelsea players – Sidwell, Duff and Gudjohnsen – can be expected to play a part against their former team on Monday night. Hughes would have examined how helpless Chelsea looked against the five-man Liverpool defence last Sunday. Although he may not opt for a 3-5-1-1 formation per se, he will certainly look to cramp up space for the Chelsea forwards and push the full-backs back in their own half. Probable Starting Line-up: Schwarzer, Pantsil, Hughes, Hangeland, Baird, Duff, Murphy, Sidwell, Dempsey, A Johnson, Dembele. Carlo Ancelotti has already declared that David Luiz will get his first start at Craven Cottage; the Brazilian will line-up with Terry in the heart of the defence. Ivanovic, who recently signed a long-term contract extension, will play at right-back. Also, Bosingwa is not fully fit and may fail to make the bench against Fulham. England’s most-capped fullback, Ashley Cole , will take his usual position on the pitch. Alex, Zhirkov and Benayoun remain sidelined. Carlo will start with the same 4-3-1-2 formation, with Drogba and Torres playing together, not because he has no other option but because he wants to find the best solution to the problem at hand. There are two challenges in front of him. Firstly, the over-dependence on the full-backs for width; if the opposition has dangerous winger (s) or if their wing-backs began to threaten, the full-backs have no option but to restrain themselves from venturing too far forward. Secondly, the miserable form of Mikel and Essien – Mikel has just returned from injury and is far from his best, while Essien has been..well, not Essien. Either one of them is expected to make way for Ramires. Also, Ancelotti would depend on Anelka to excel at the tip of the diamond for the formation to work for the team. After an impressive début for the England under-21 side and a match-winning performance in the FA Youth Cup, Joshua McEachran has further increased his stock at the Bridge. It would be interesting to see whether Carlo utilises the youngster, and in what capacity. Probable Starting Line-up: Cech, Ivanovic, Luiz, Terry, Cole, Mikel, Ramires, Lampard, Anelka, Drogba, Torres. John Terry (Chelsea): After being humiliated yet again in an England shirt, captain John Terry would be yearning to wear the Chelsea blue and get his hands on the arm-band. He would have the young Brazilian David Luiz alongside him in defence, and one can expect Terry to lead from the front and deliver a trademark lionhearted performance, sending a clear message that there’s only one captain, and he is not Gareth Barry. If the diamond sparkles, Chelsea should win the game comfortably. If it does not, the going will be tough for the away team and Ancelotti would be expected to change the formation to a 4-3-3 to carve out a favourable result.